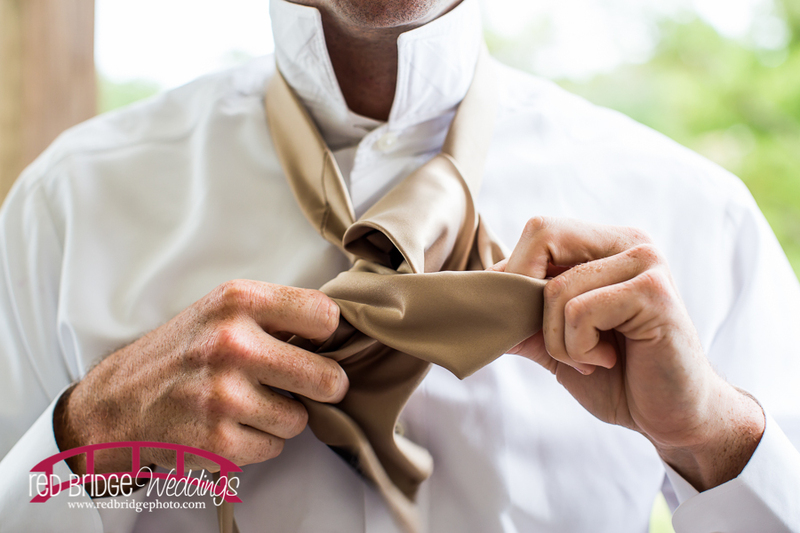 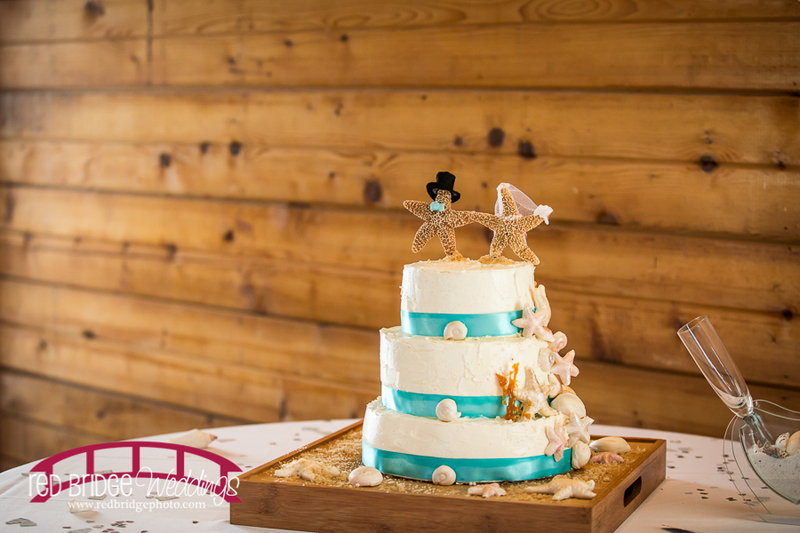 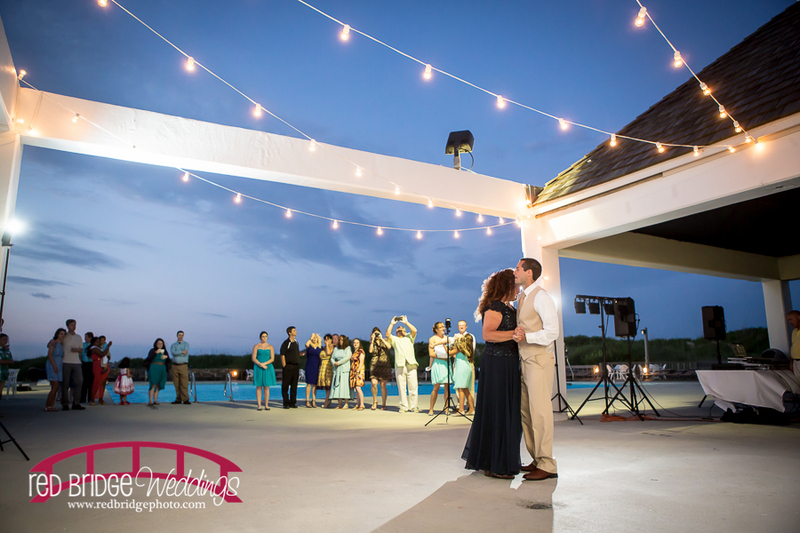 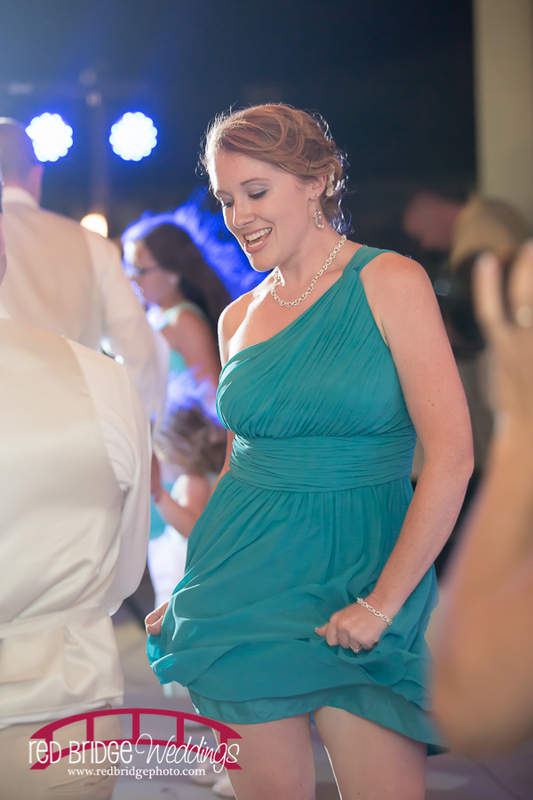 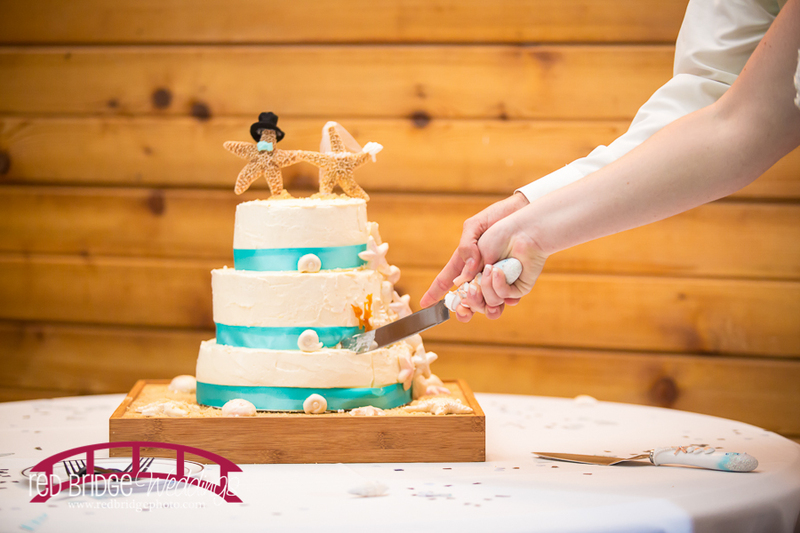 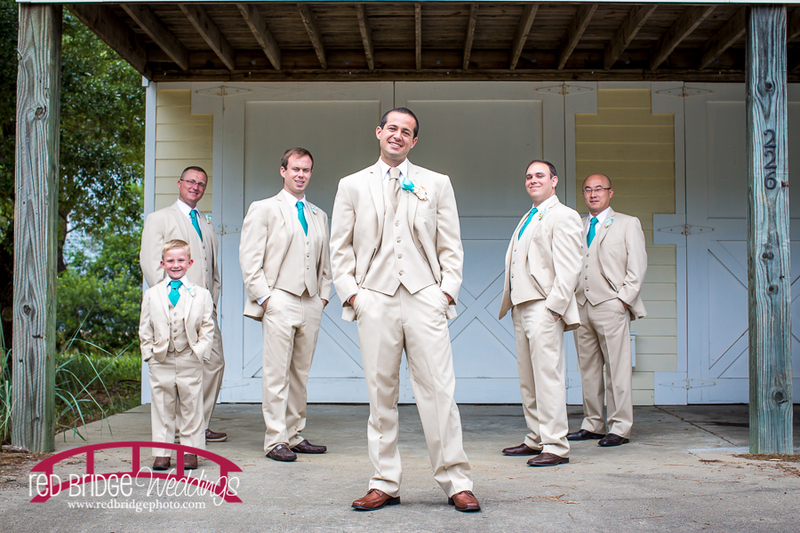 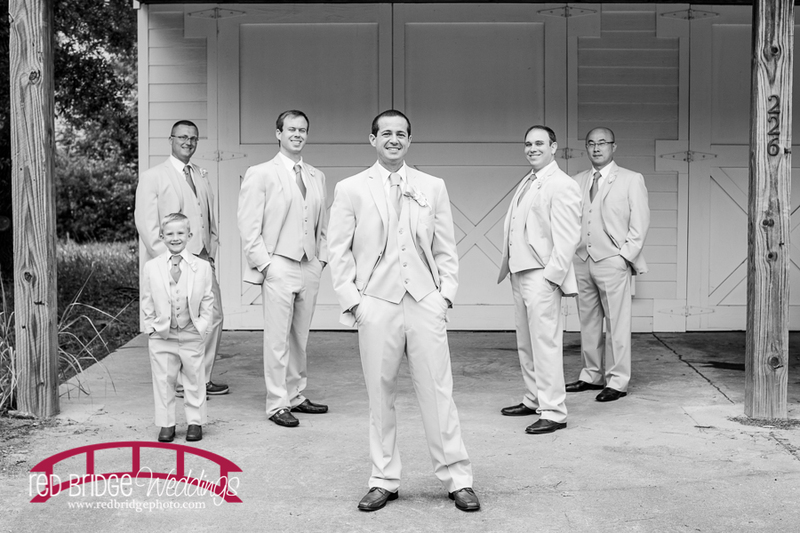 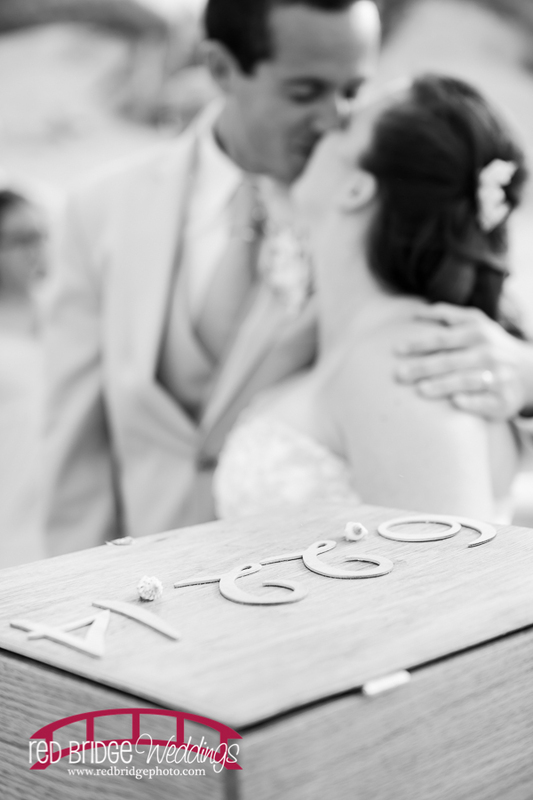 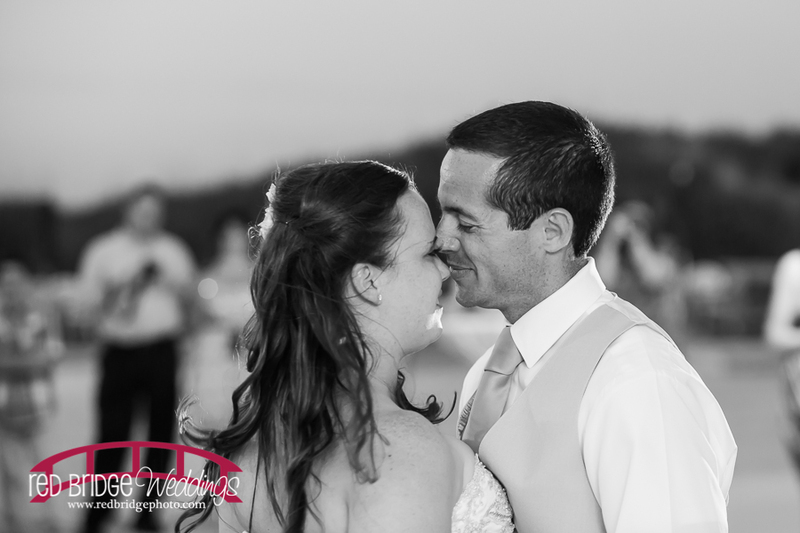 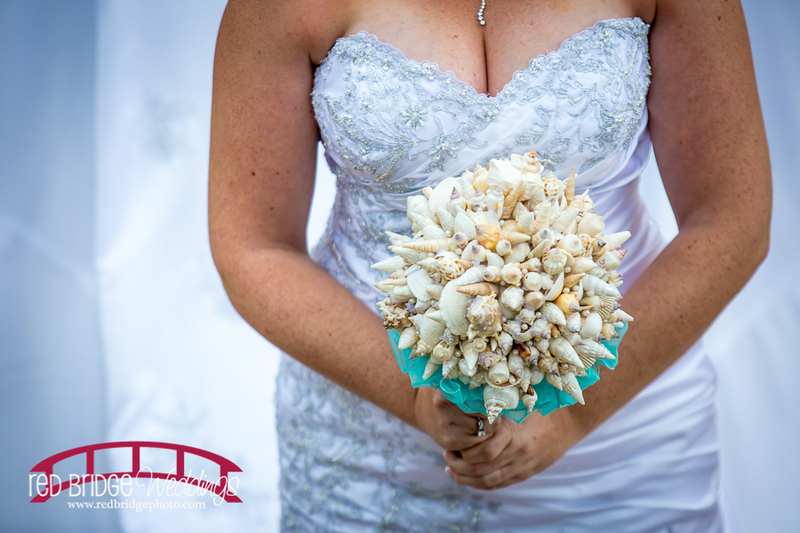 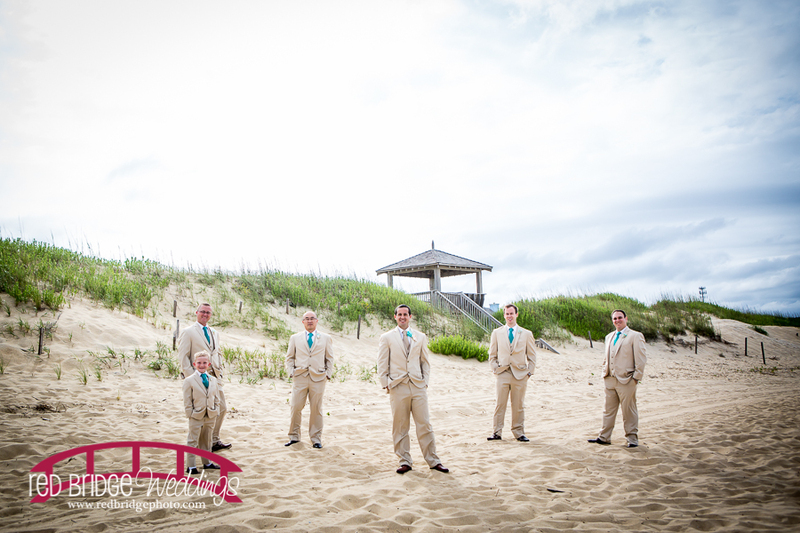 I had the pleasure recently to accompany my friend Jennifer Haygood of JB Haygood Photography to the Outer Banks of NC at Nags Head for Cassie and Jon’s wedding. 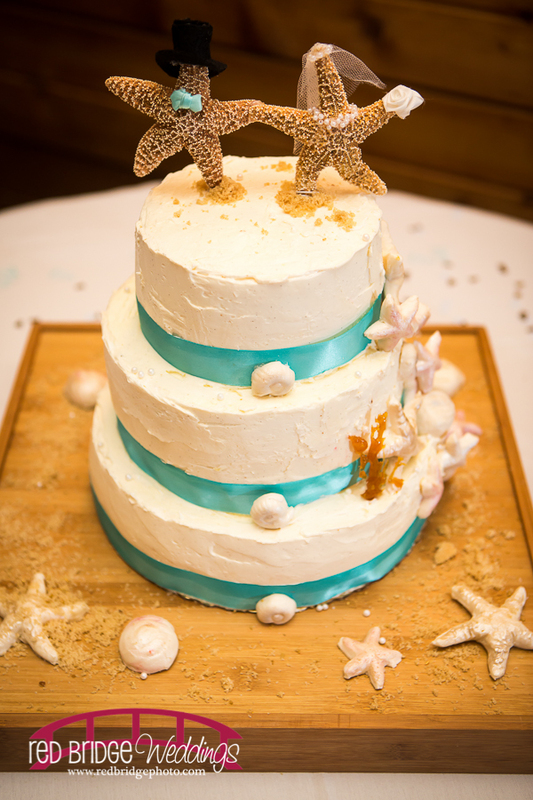 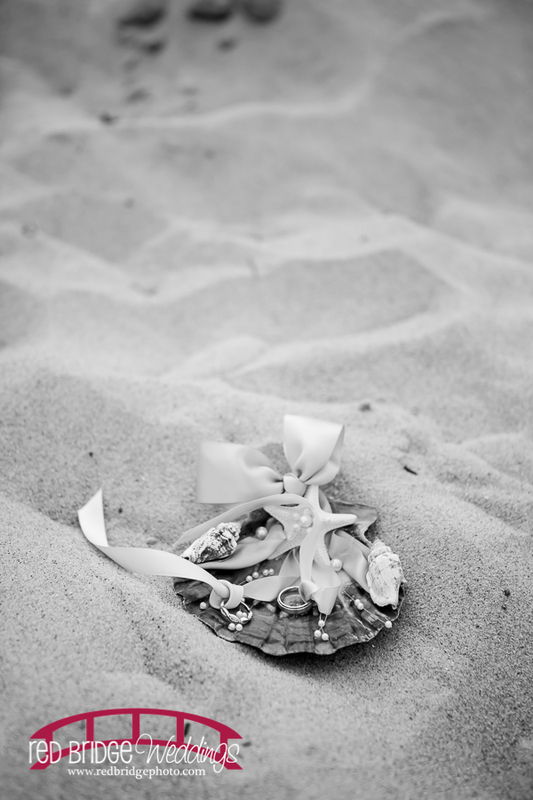 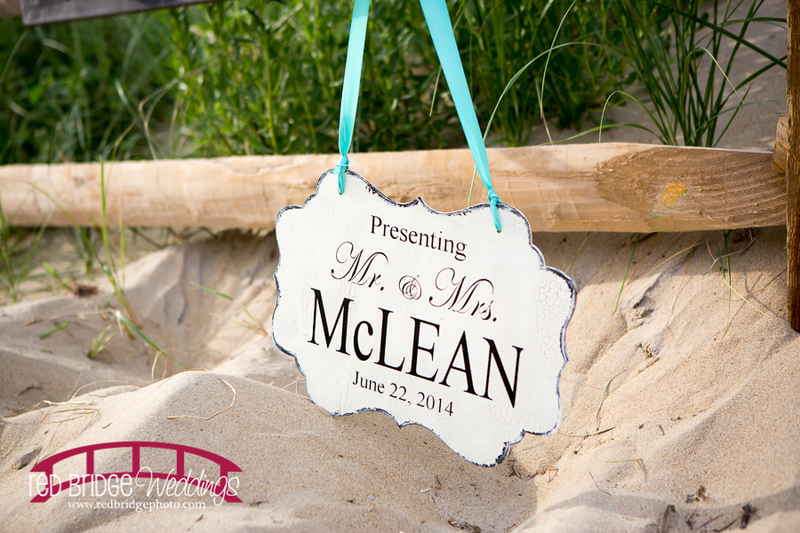 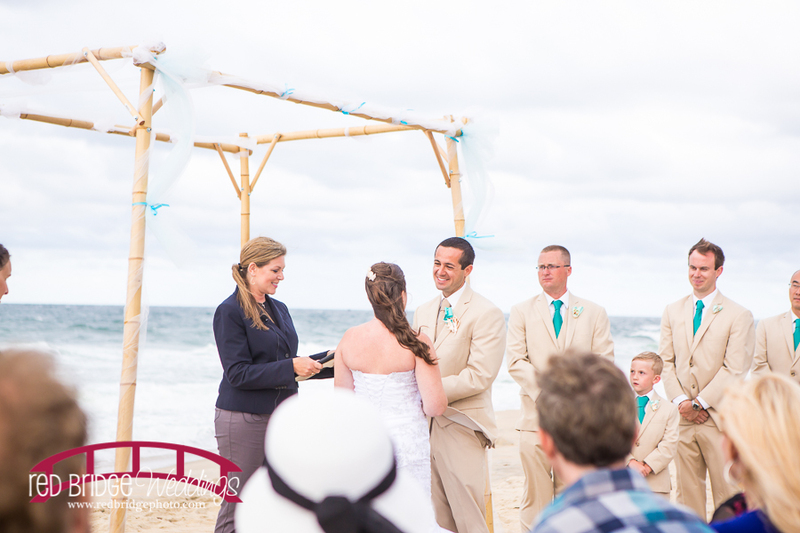 It was such a perfect day for a beach wedding! 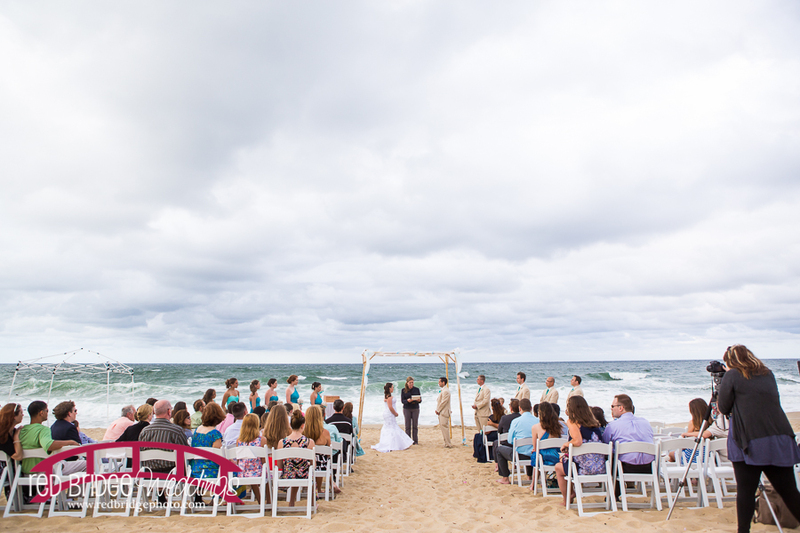 Although it did look like rain would happen during the morning and early afternoon, the sun came out but we were left with big fluffy clouds to add to the scenery. 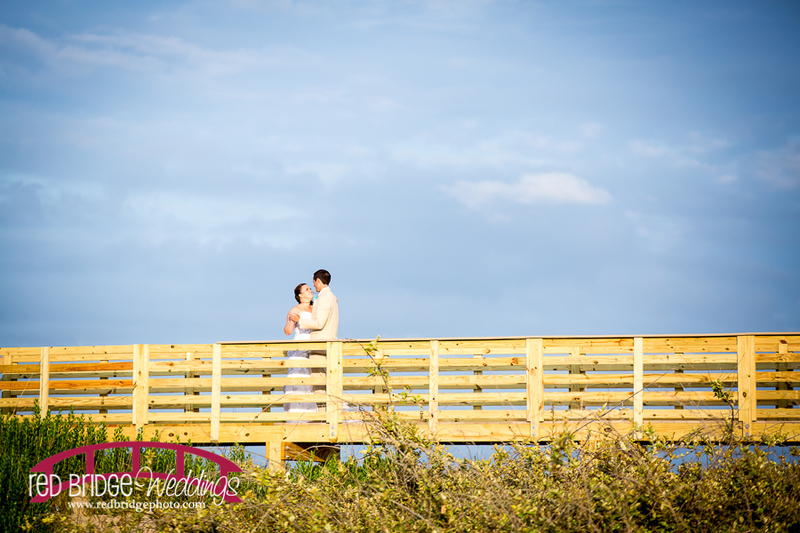 And then the sun REALLY came out just in time for portraits. 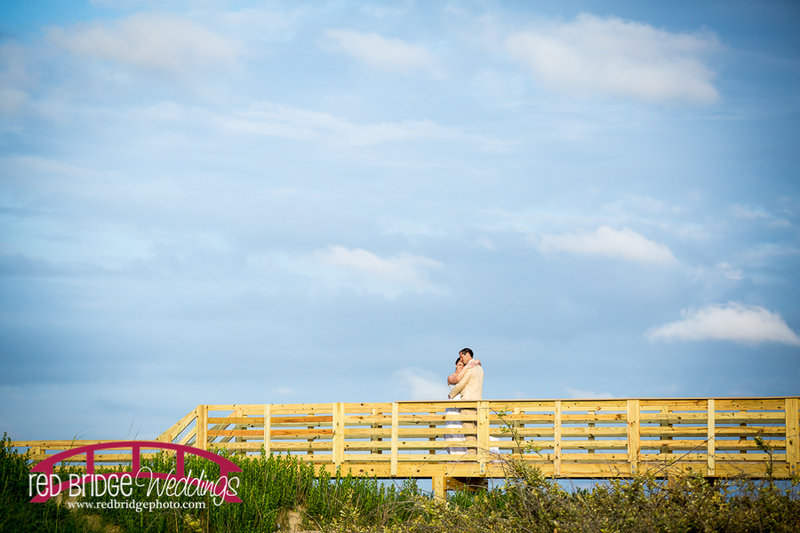 When we first arrived, we noticed this perfectly placed deck over the dunes that with the sky in the background would make for the perfect portrait spot. 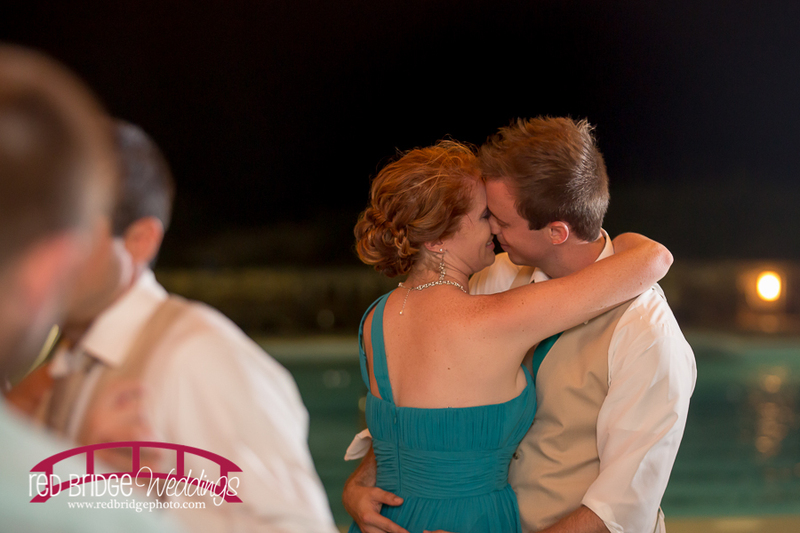 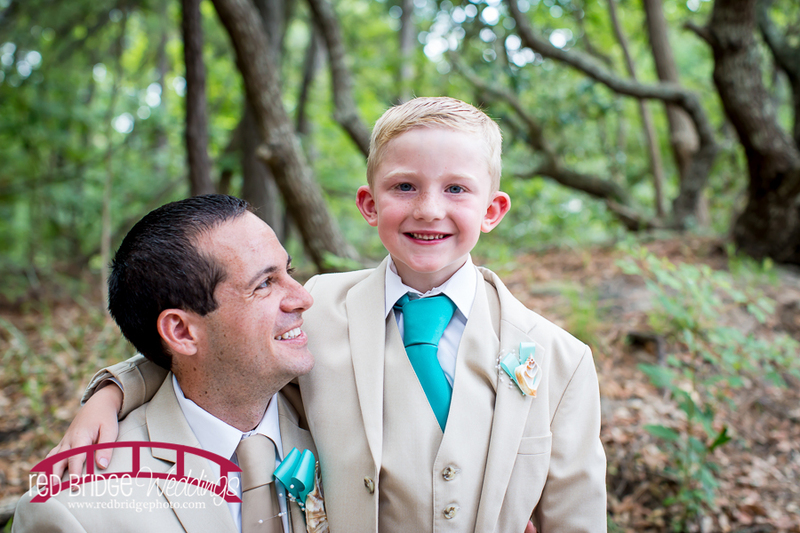 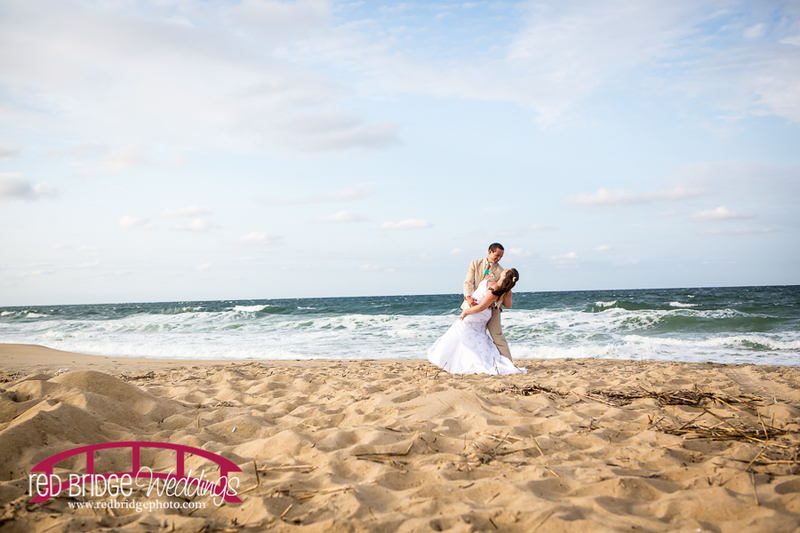 I am so glad the Cassie and Jon went for it because the portraits from there and of course the beach were AMAZING! 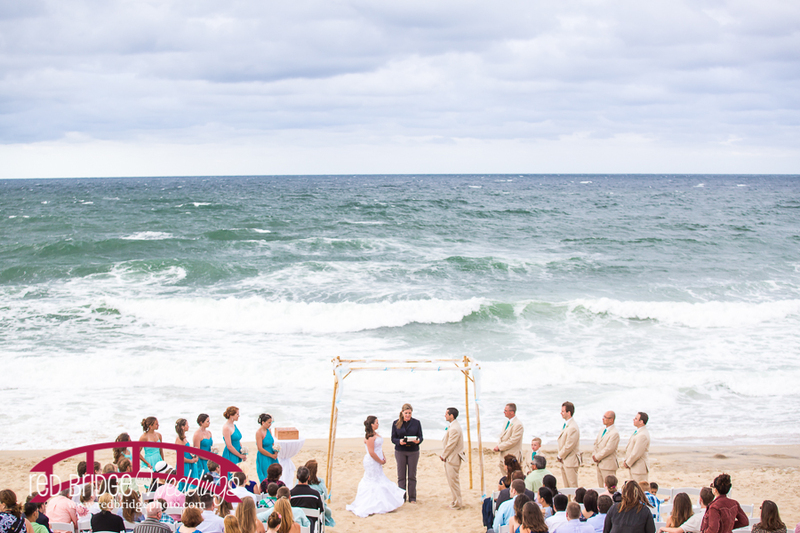 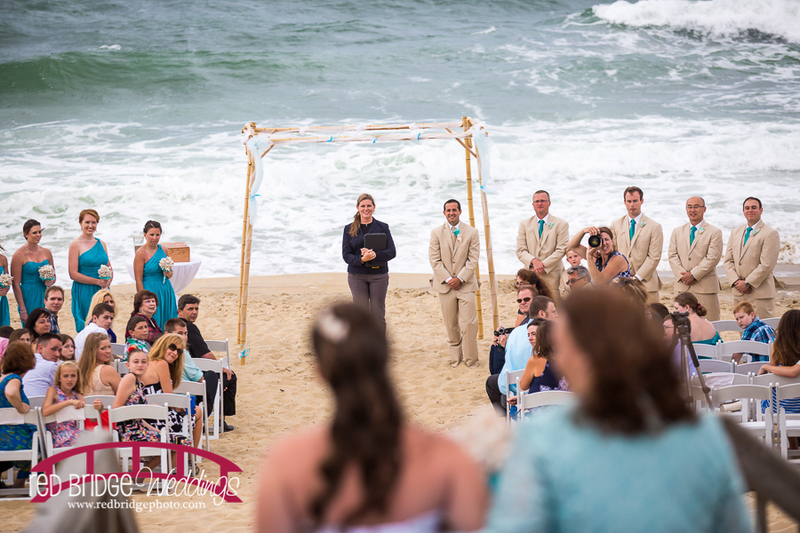 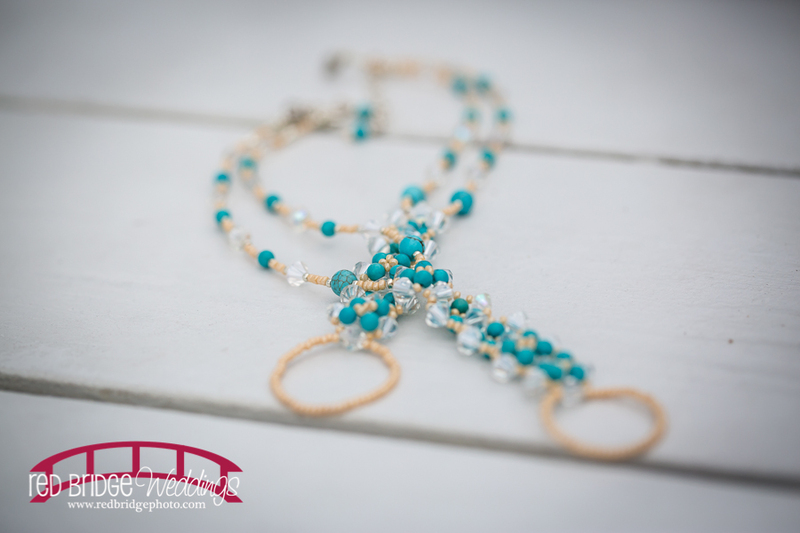 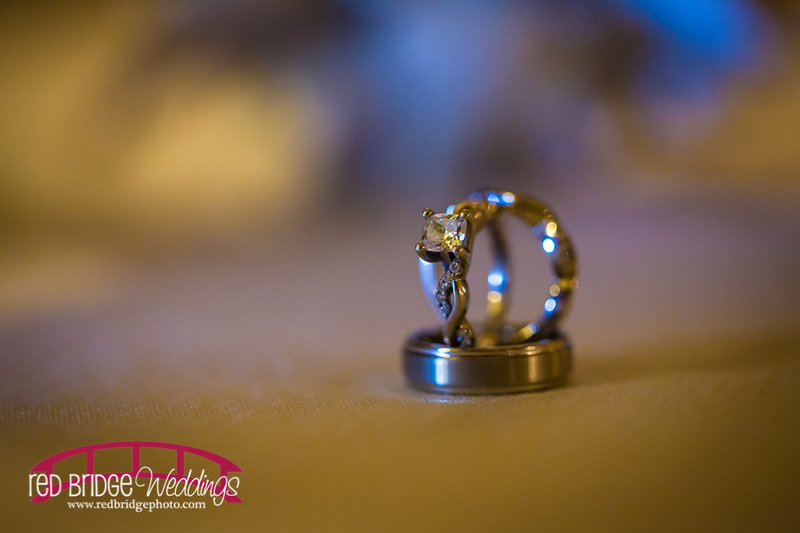 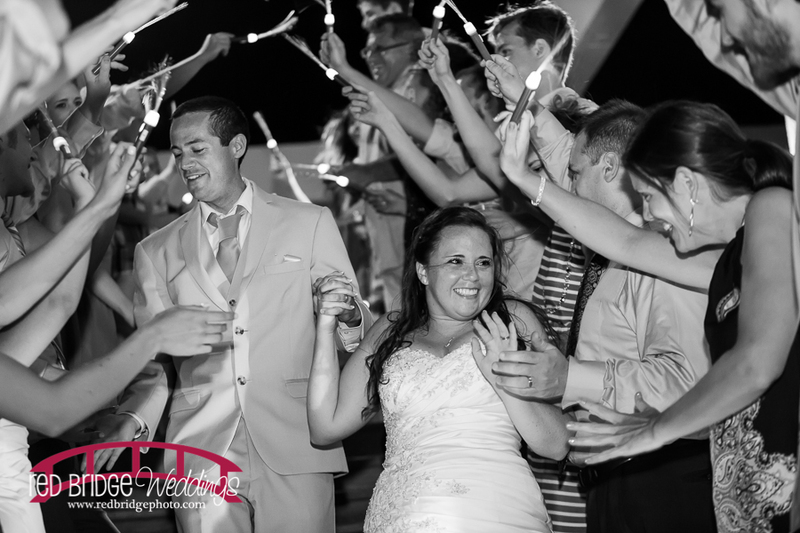 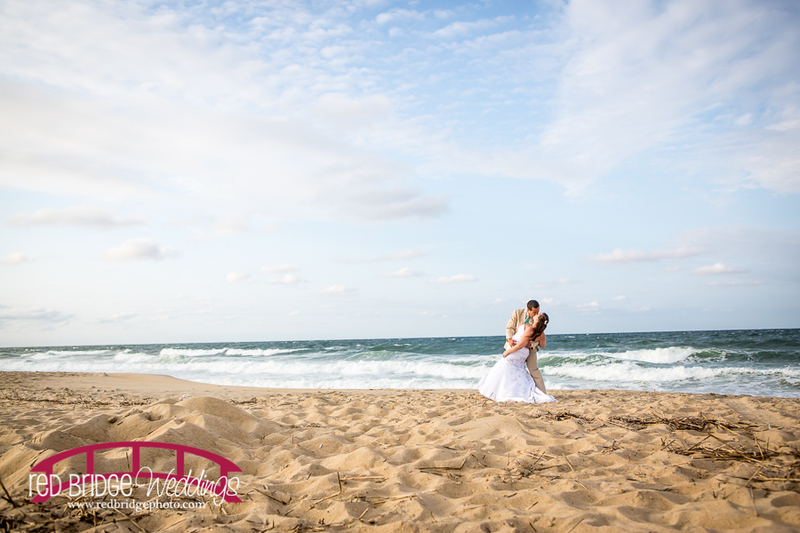 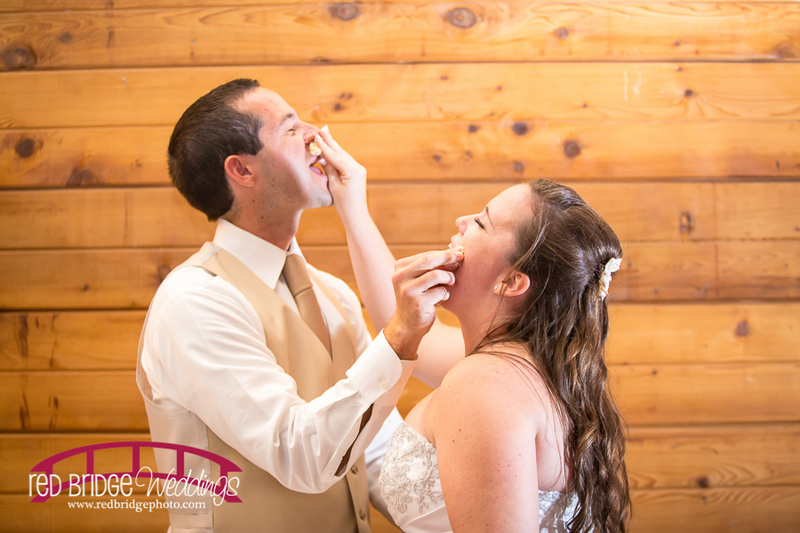 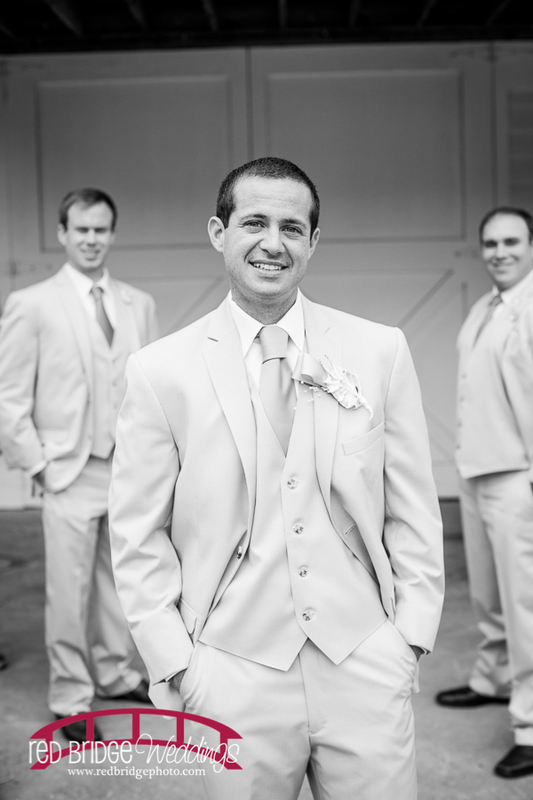 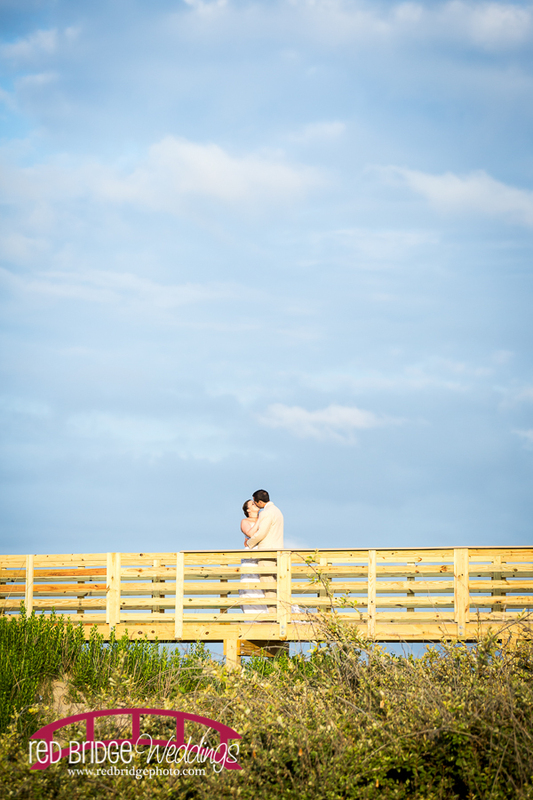 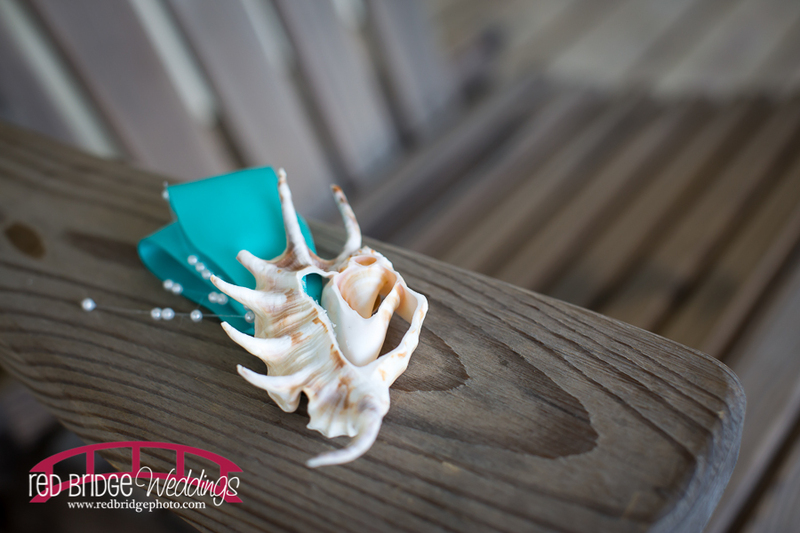 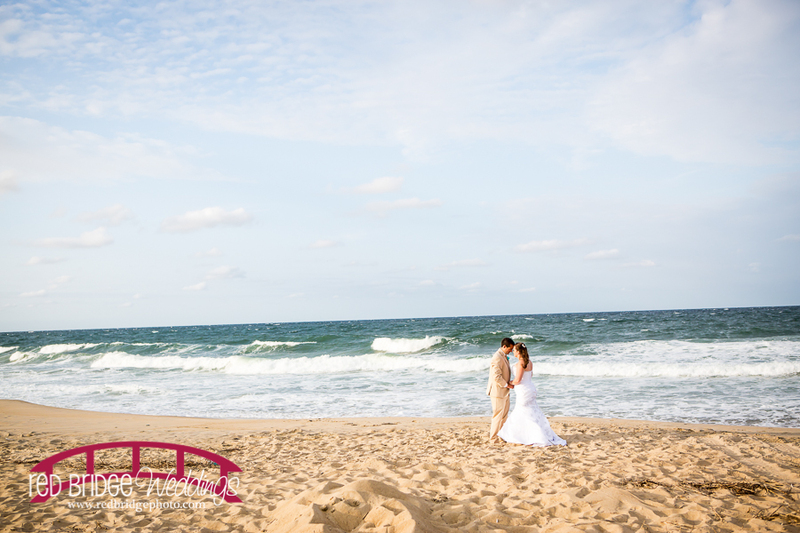 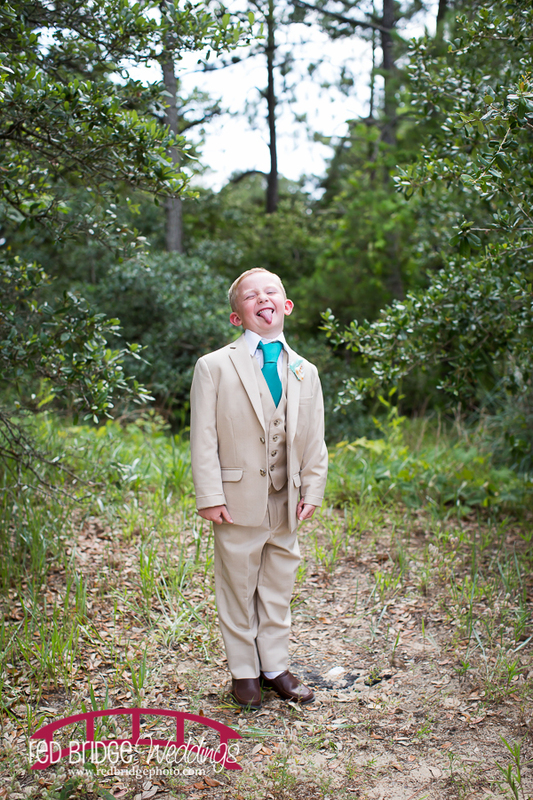 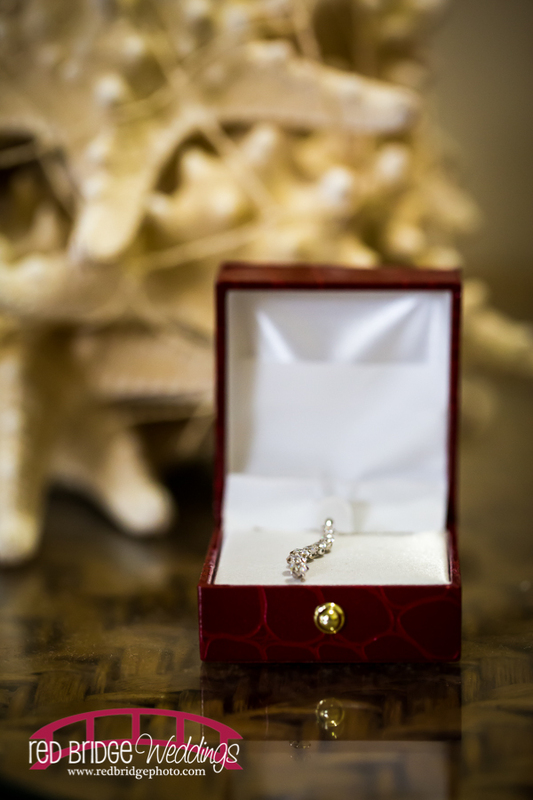 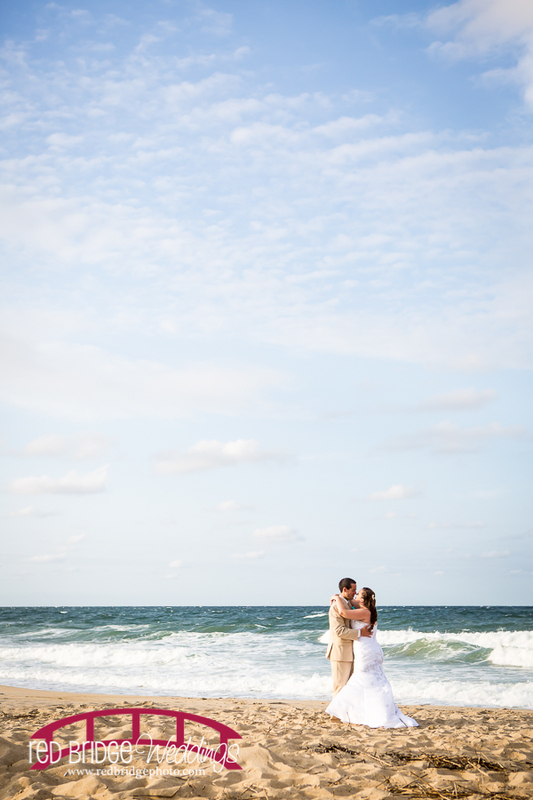 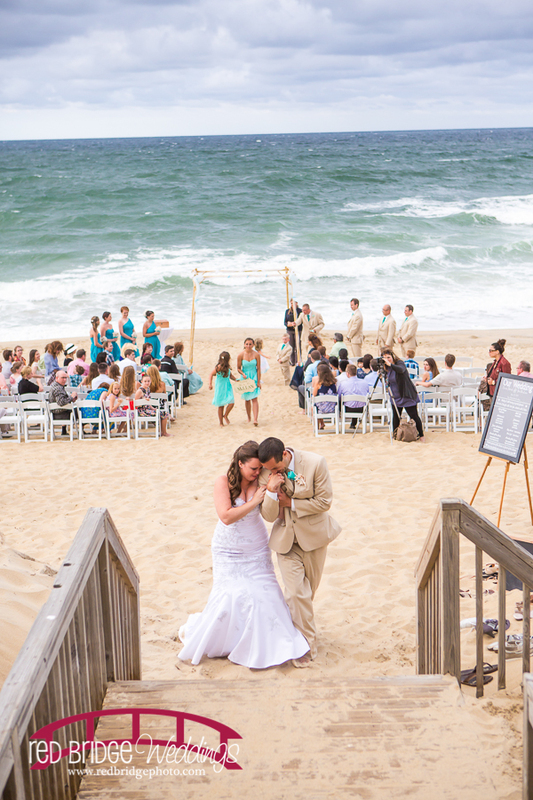 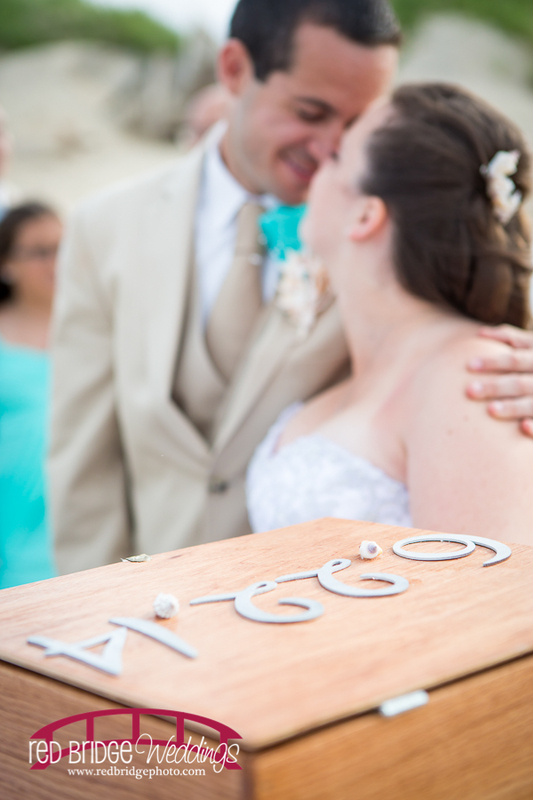 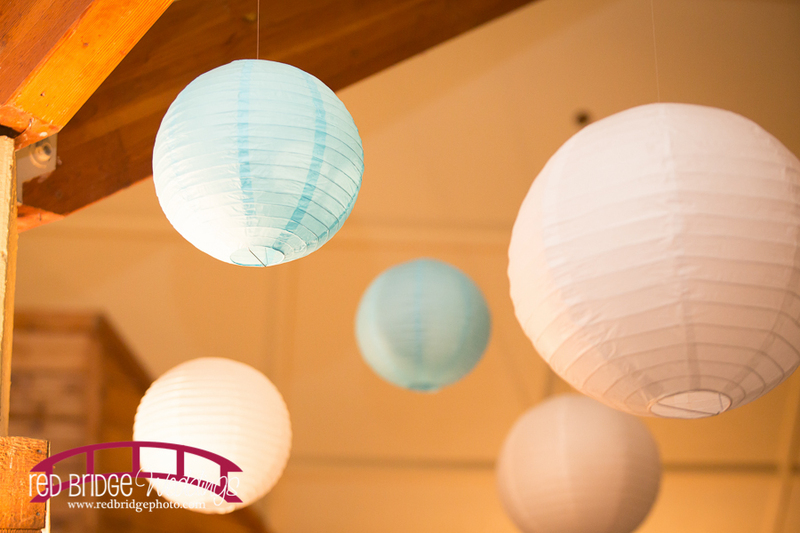 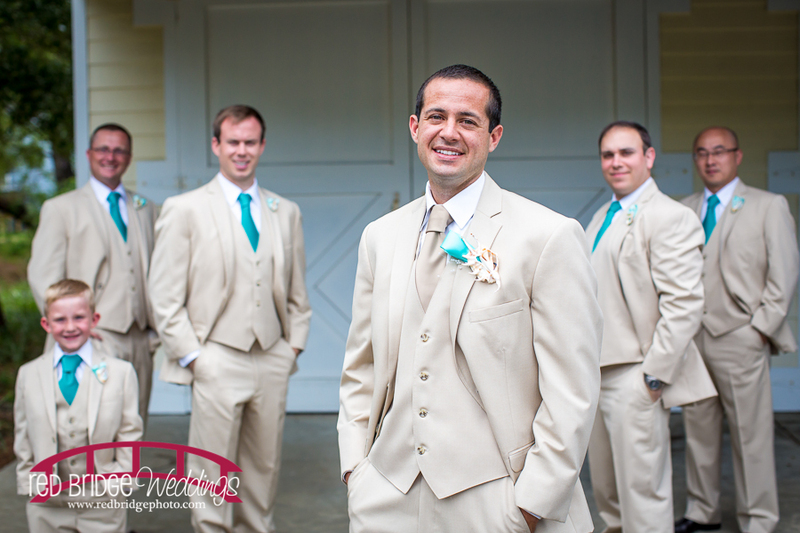 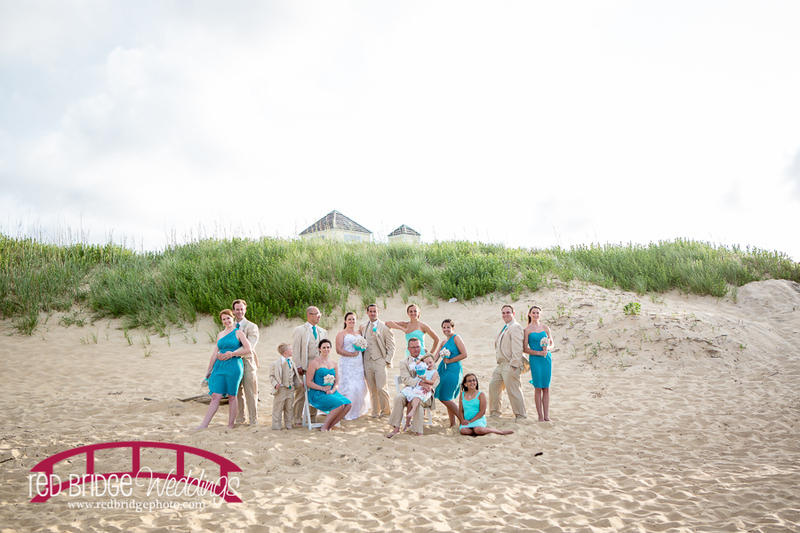 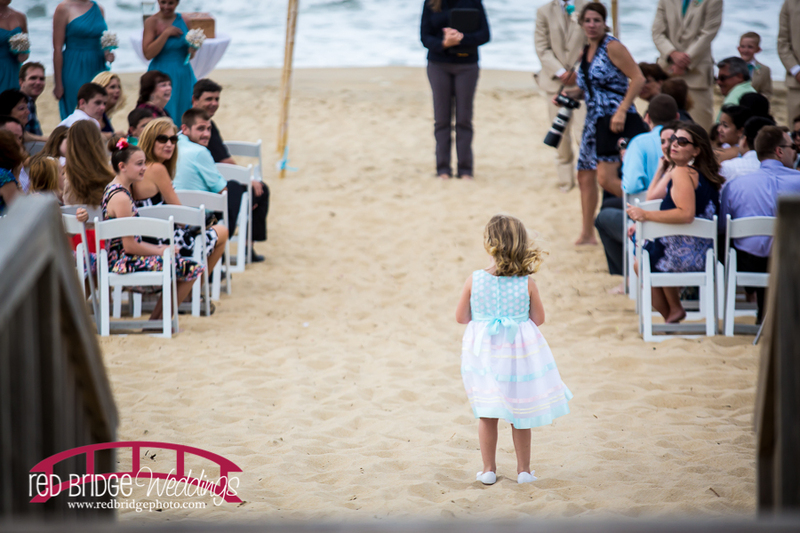 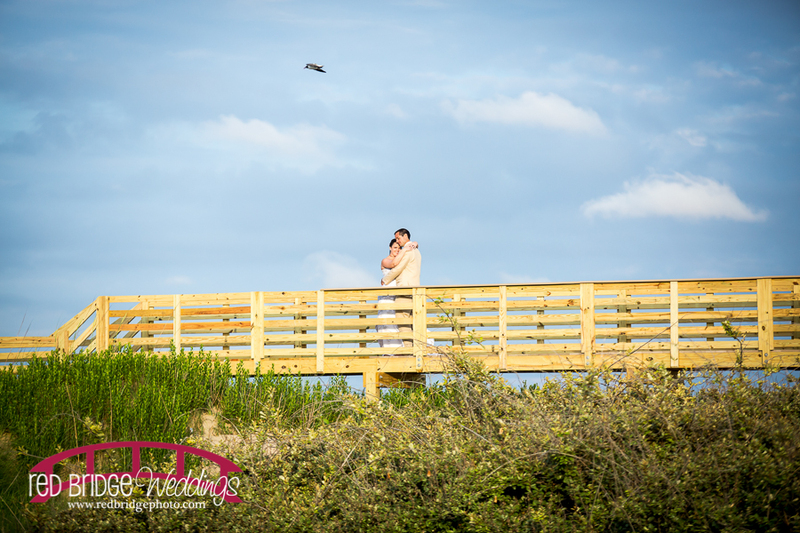 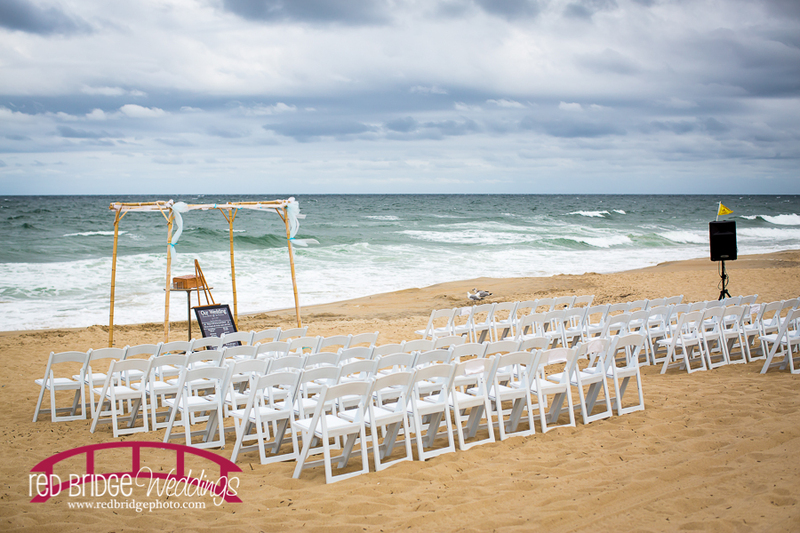 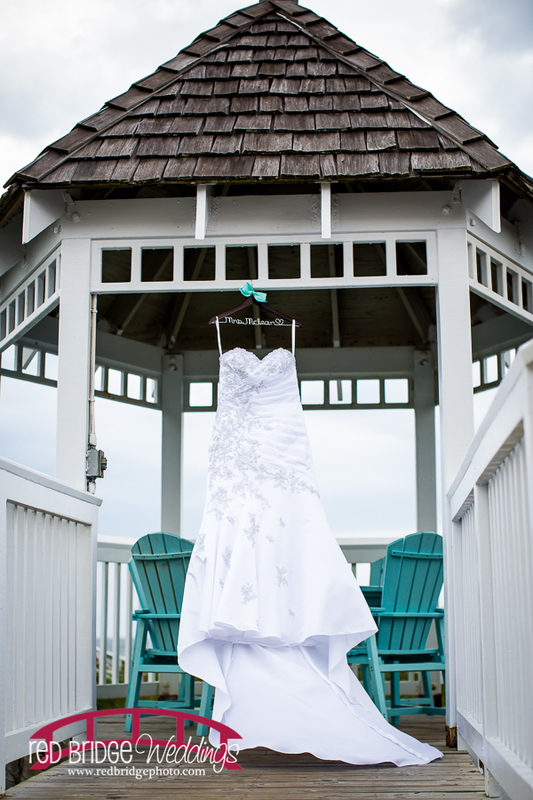 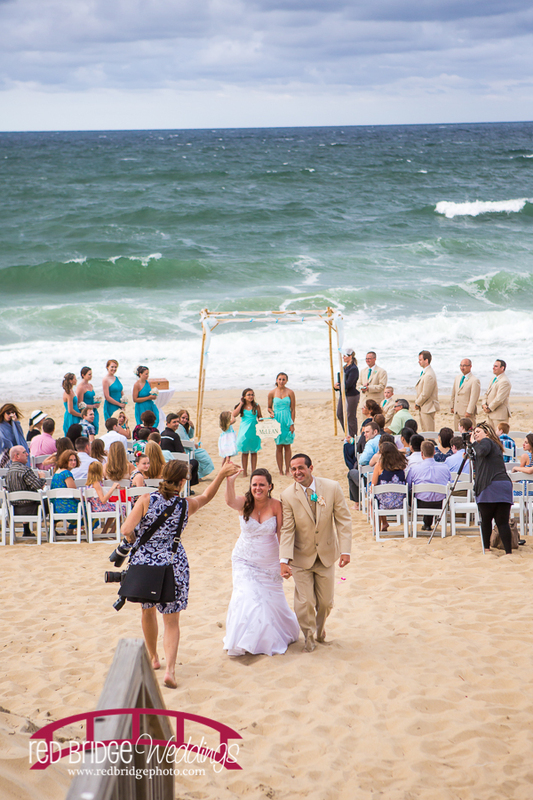 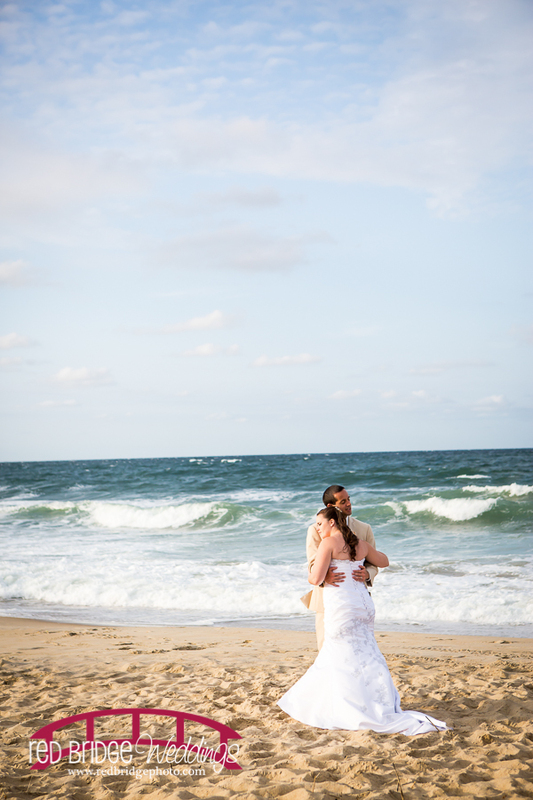 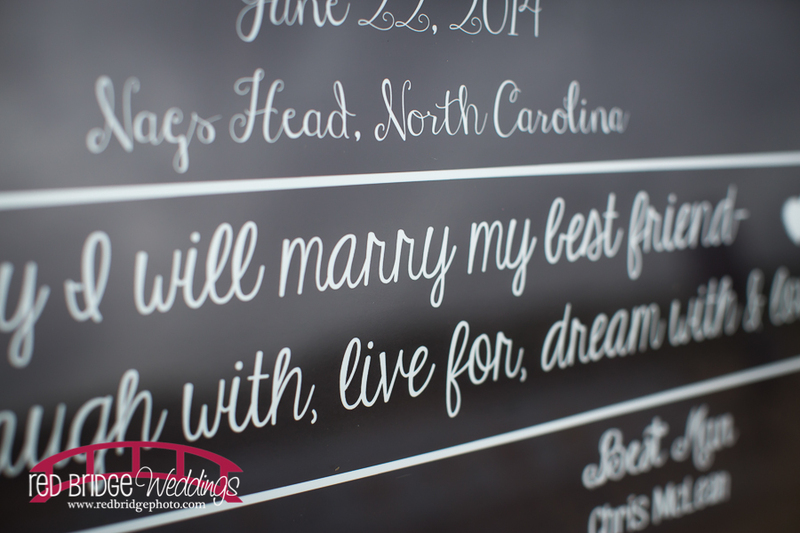 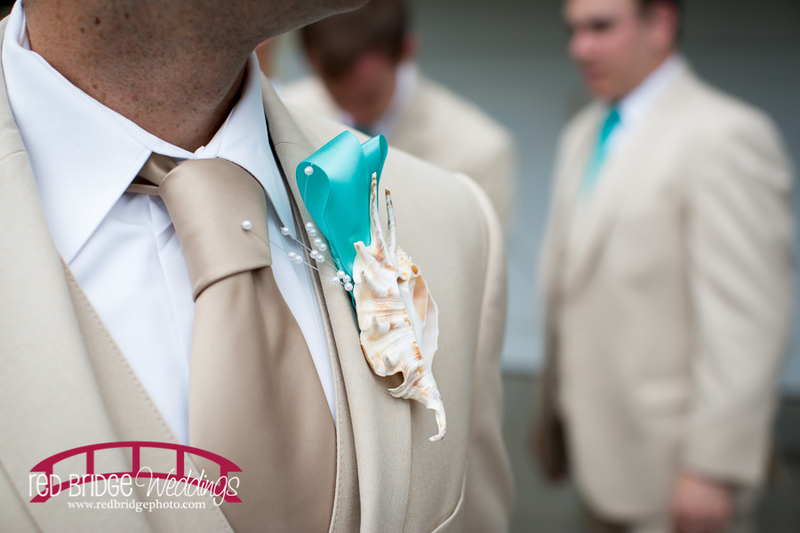 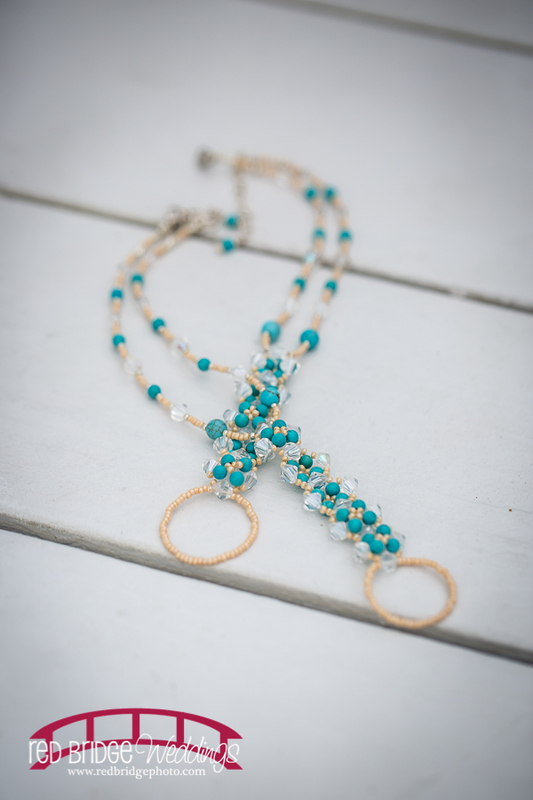 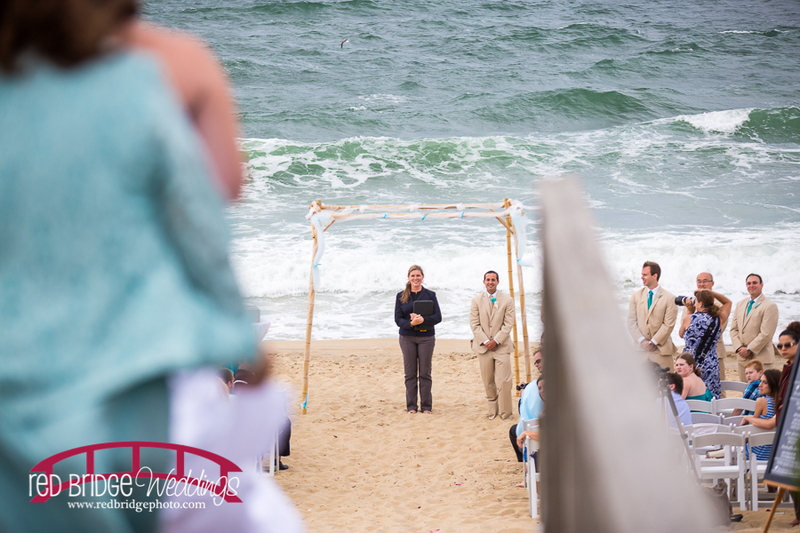 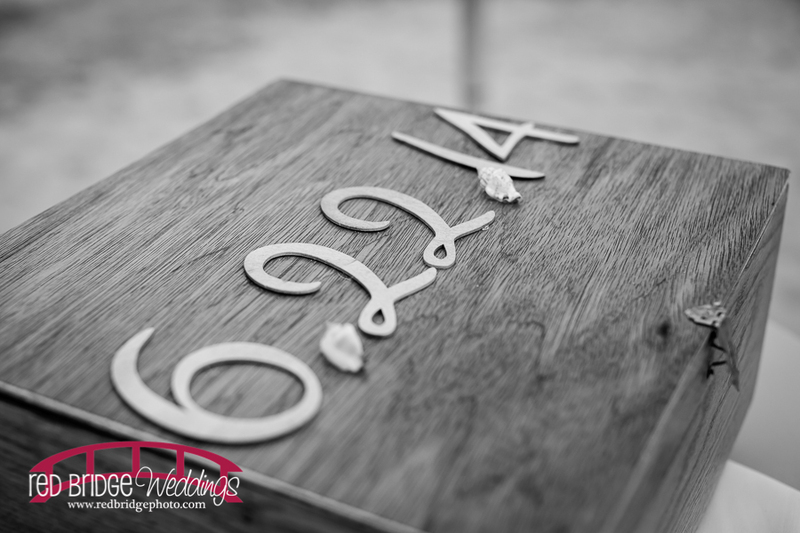 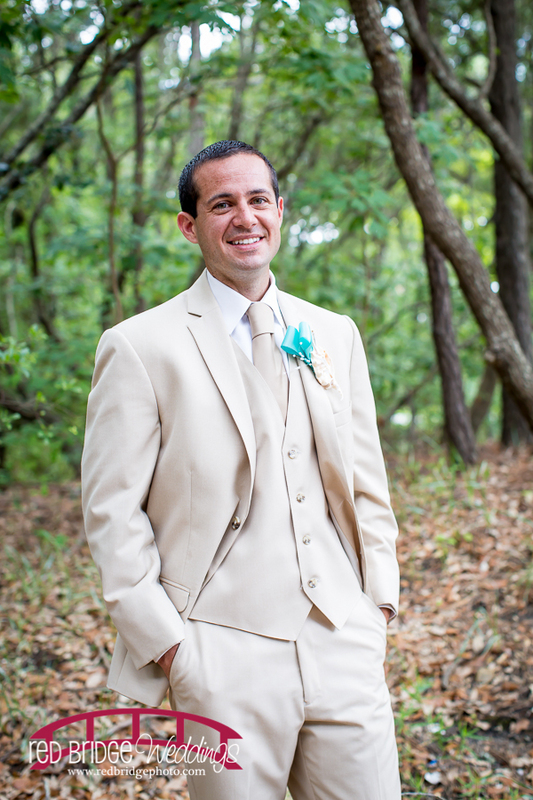 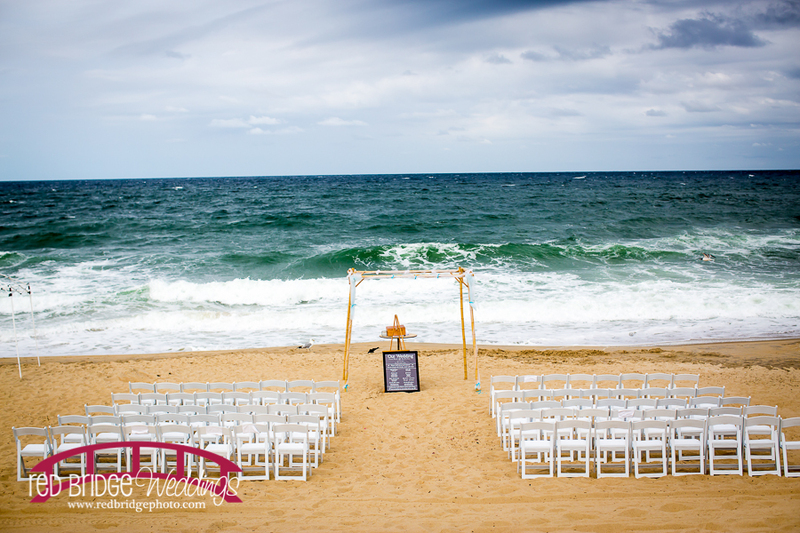 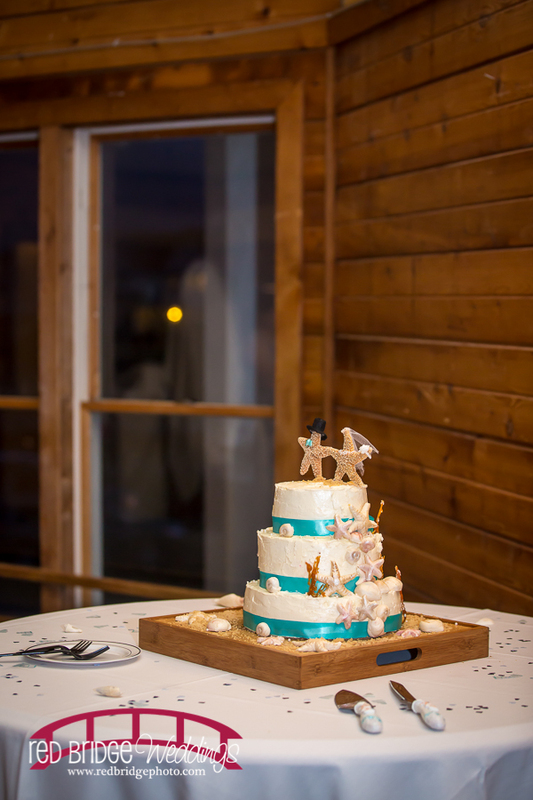 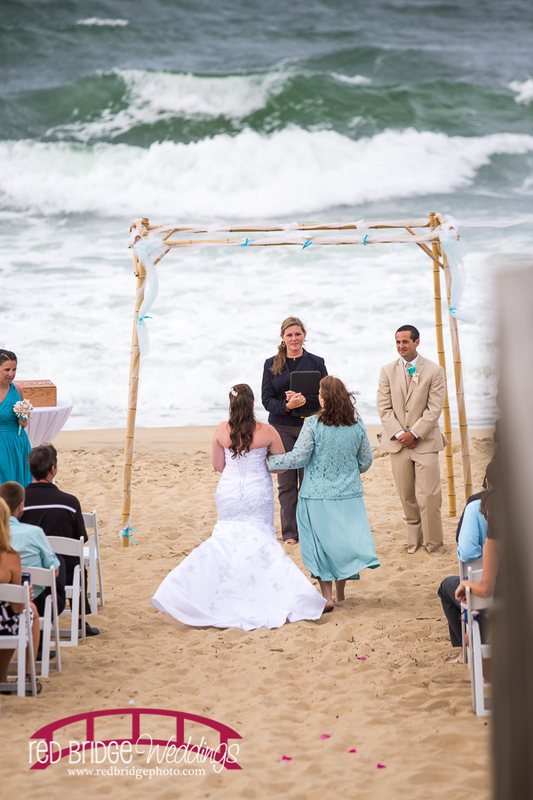 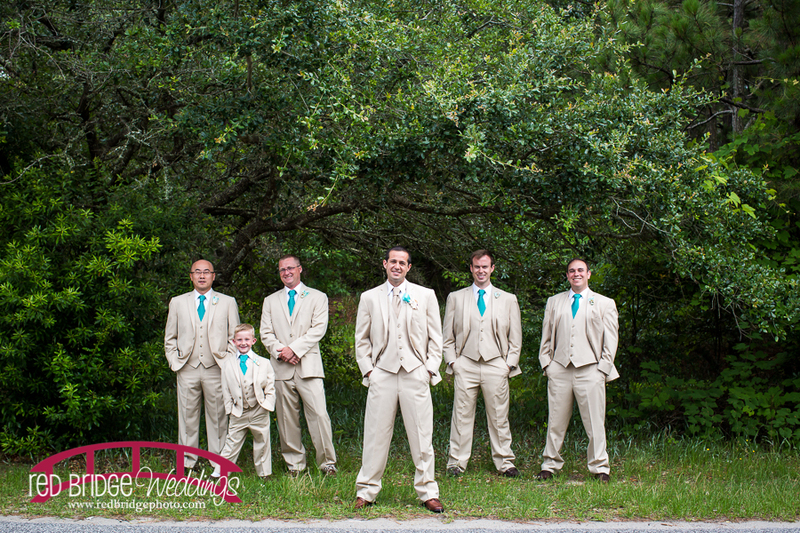 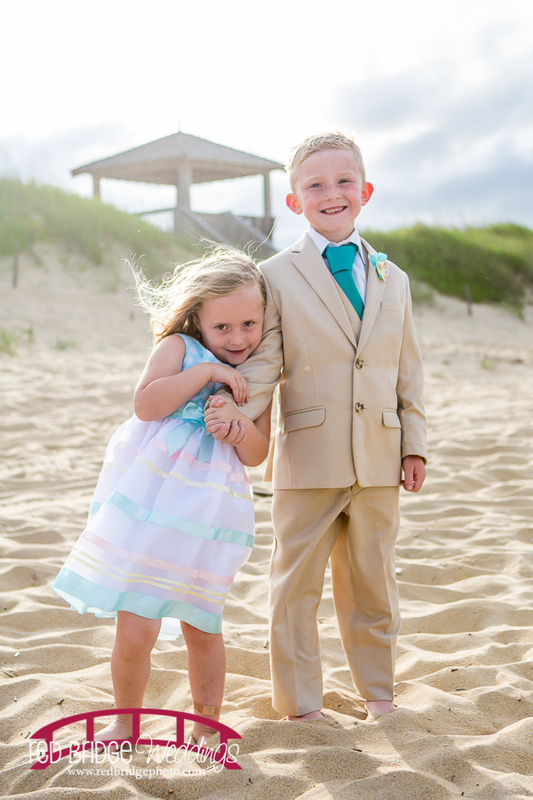 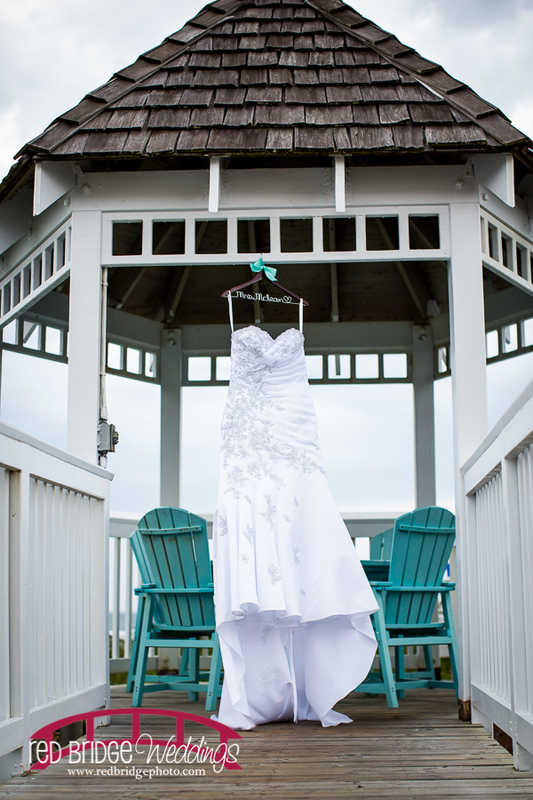 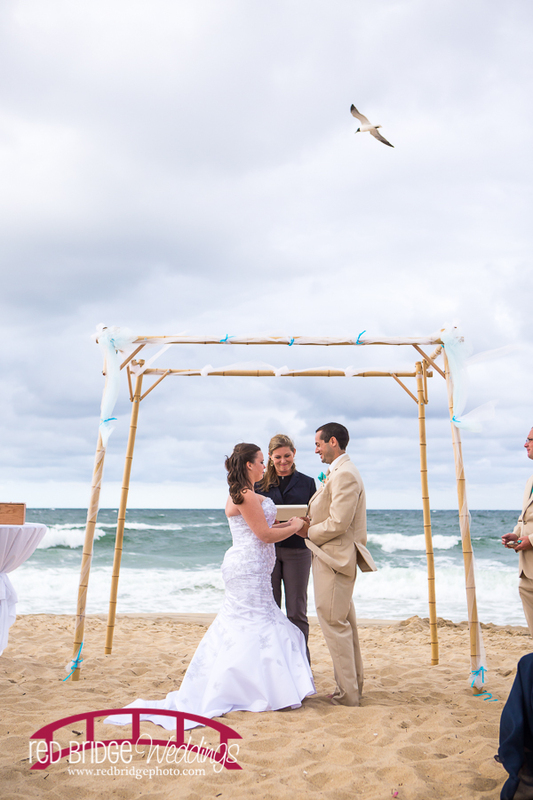 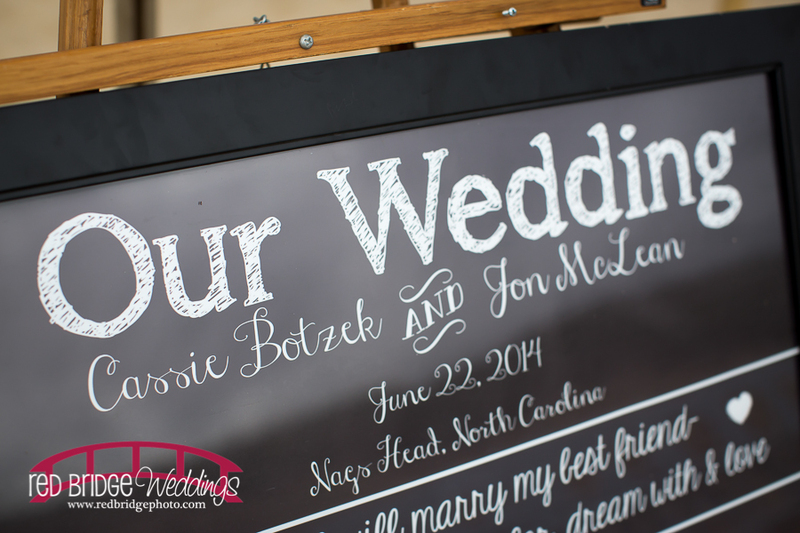 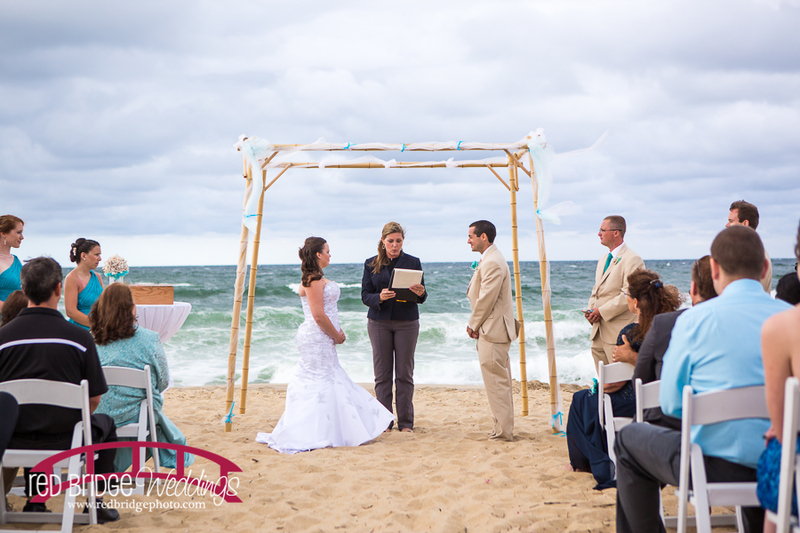 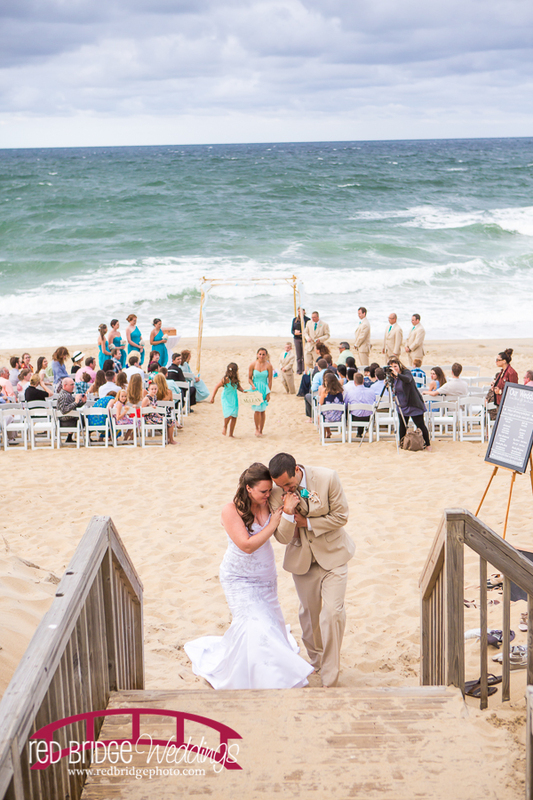 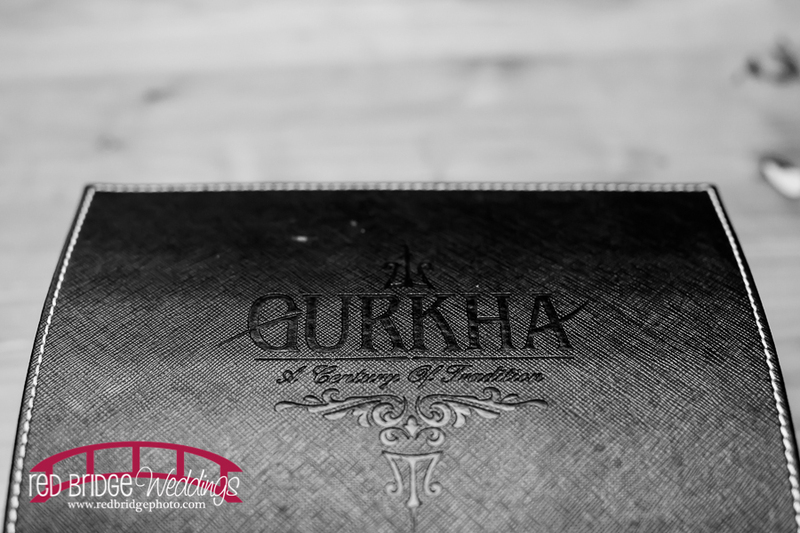 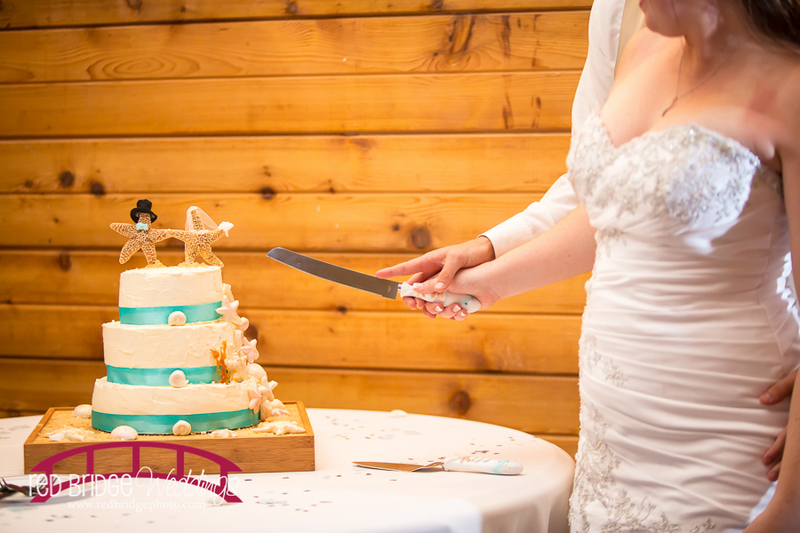 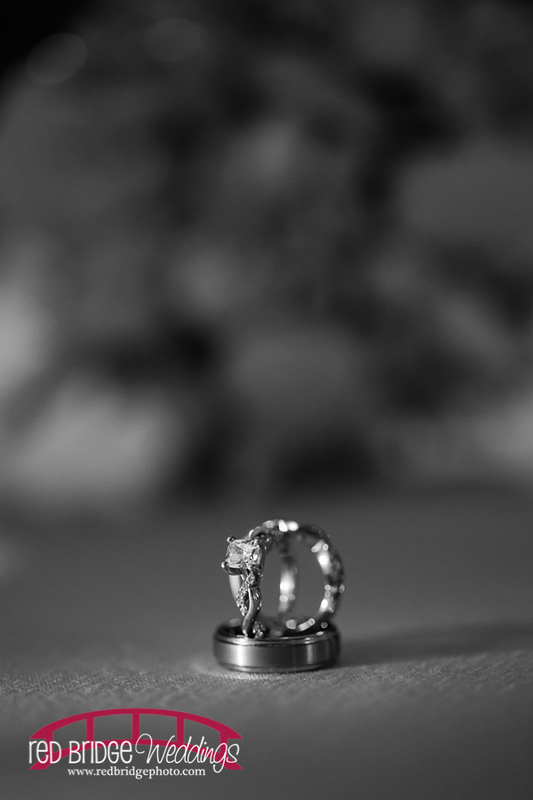 Hope you enjoy my view from the day at this beautiful Nags Head – Outer Banks, NC wedding!